I’m officially obsessed with this appetizer. I’ve made it so many times now, I’ve lost count… In the beginning I was fixing it up for friends when they came over but that wasn’t enough so the other night I had it for dinner. So good. 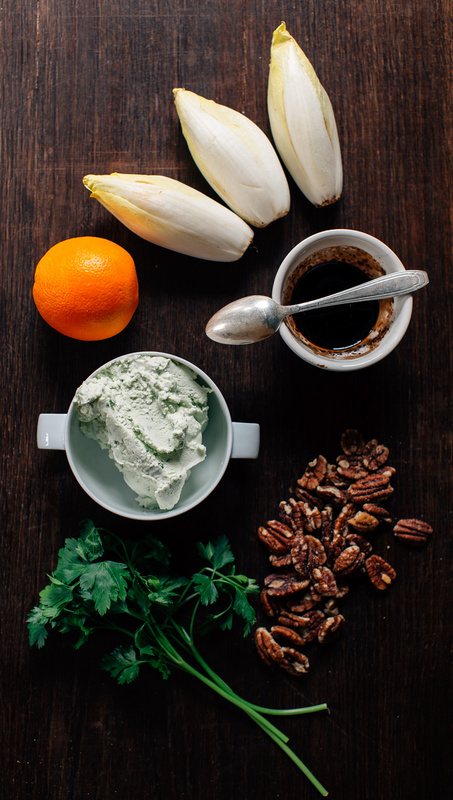 Up until this point I was never actively seeking out endive – it just wasn’t really my thing. If I happened upon a random leaf of it in my mixed greens bag it always got pushed to the side. sorrynotsorry – the stuff is kinda bitter. But this is a whole different story. Looove this stuff. 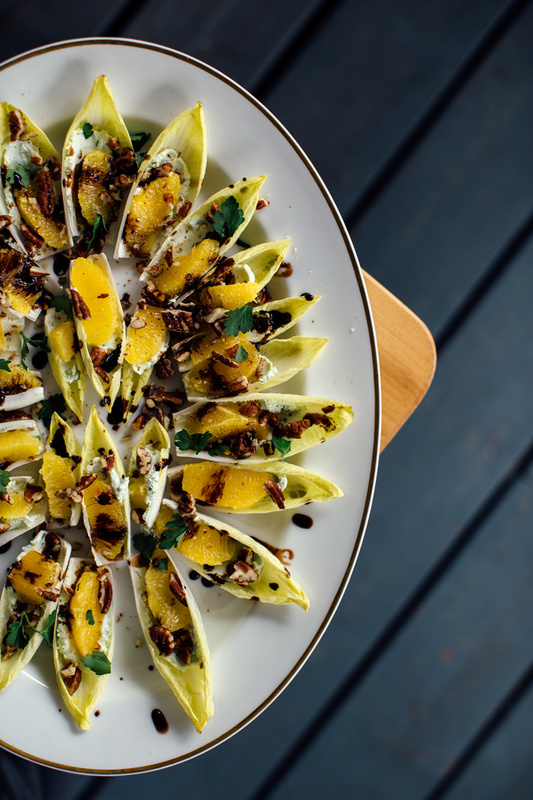 Maybe it’s the goat cheese or the salty roasted pecans or that balsamic reduction made with orange juice that I could just sip on straight up. 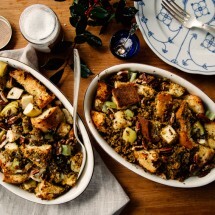 All together it’s a mouthful of goodness and you should make it for your next party – or for dinner. 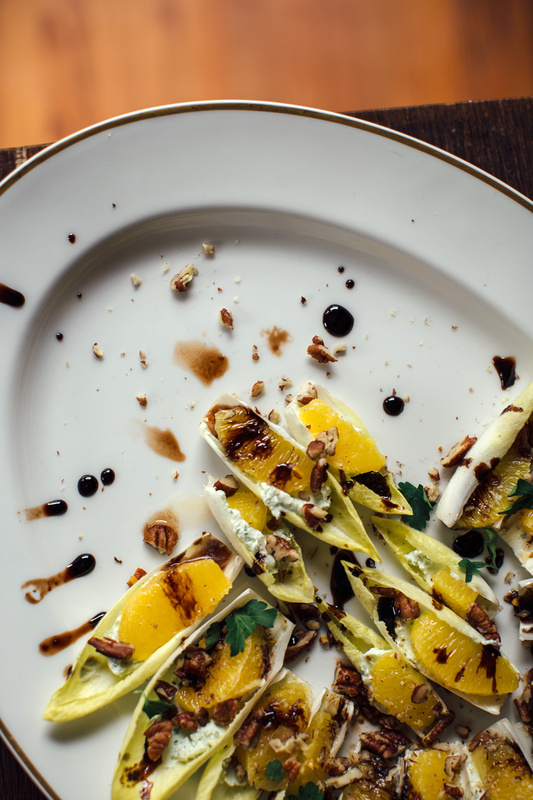 Cut the leaves off the endive heads and arrange on a platter. 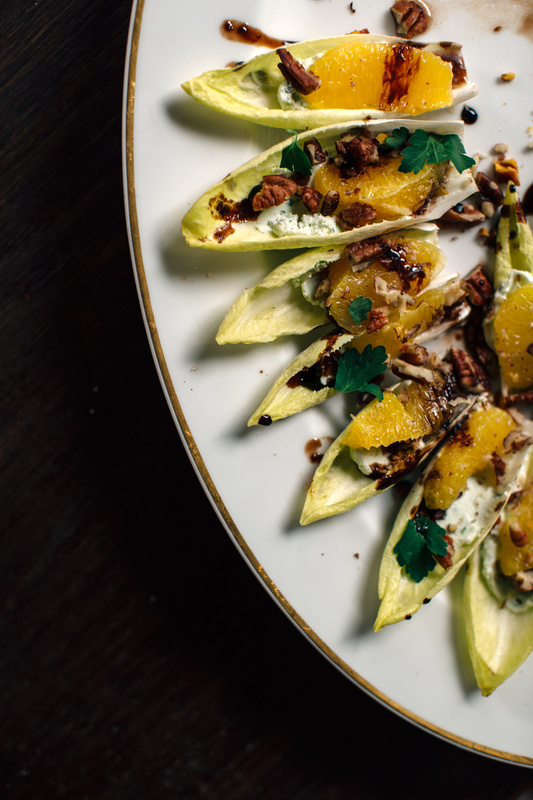 Give each leaf a light smear of goat cheese. 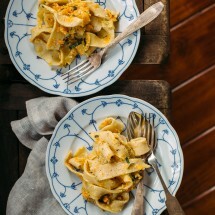 Top with an orange segment and then sprinkle the whole thing with the toasted nuts and fresh herb. Finish with a generous drizzle of balsamic reduction. For the balsamic reduction bring all the ingredients to a boil in a small sauce pan. Cook for 5 minutes until reduced to about 3 tablespoons. Next, segment the oranges and place in a bowl. 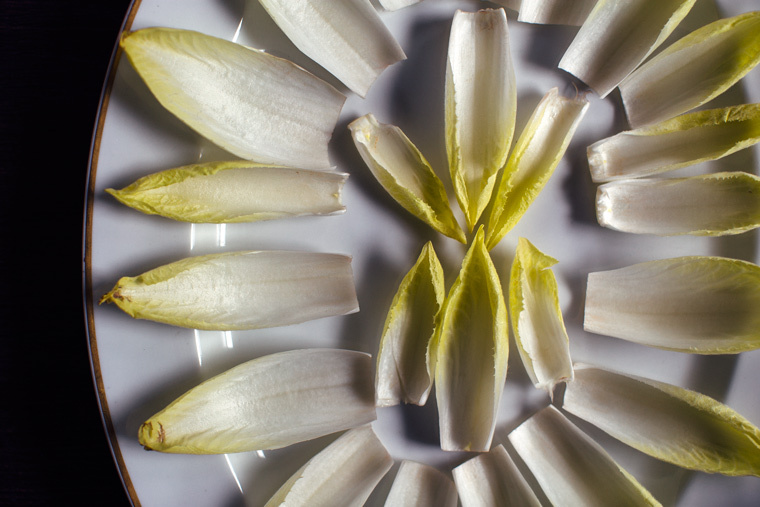 Cut the leaves off the endive heads and arrange on a platter. 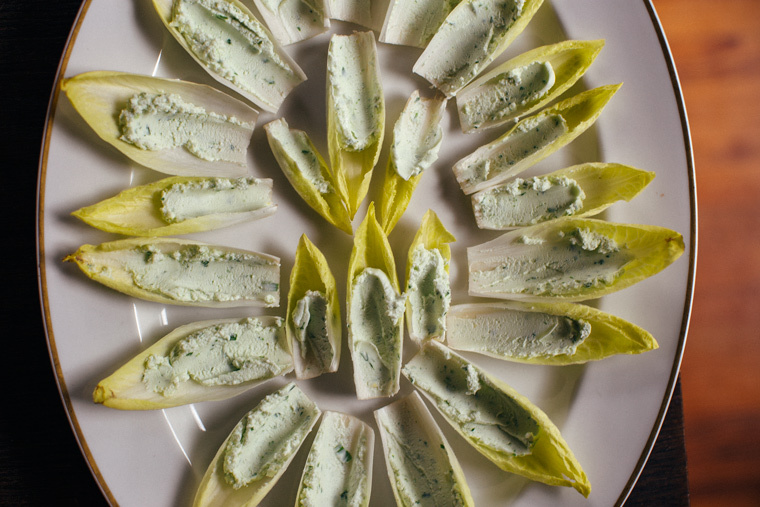 Give each leaf a light smear of goat cheese. If your goat cheese is not easily spreading just mix in a little milk or cream to achieve a more spreadable consistency. 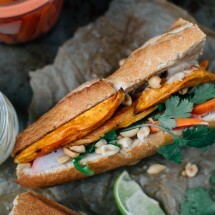 Top with an orange segment and then sprinkle the whole thing with the toasted nuts and fresh herb. Finish with a generous drizzle of balsamic reduction. 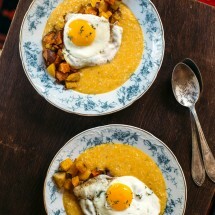 Recipe pretty much copied from here. I’m drooling all over the place. 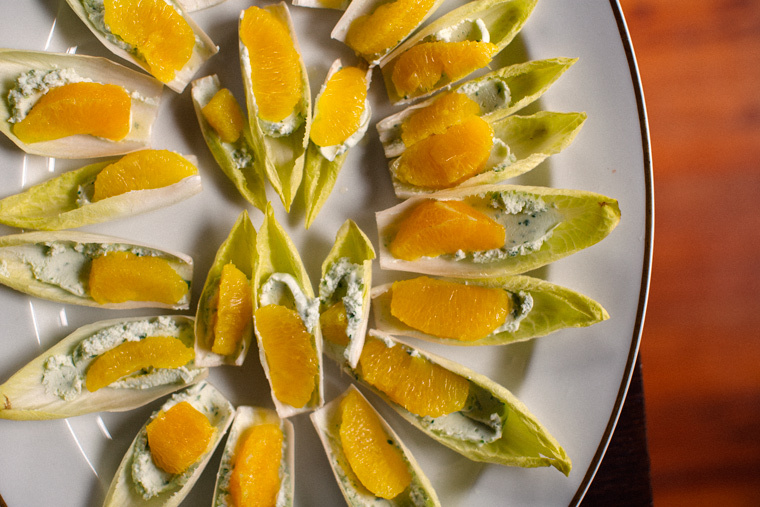 This appetizer is freaking GENIUS girl! Emily!!! Thank you! 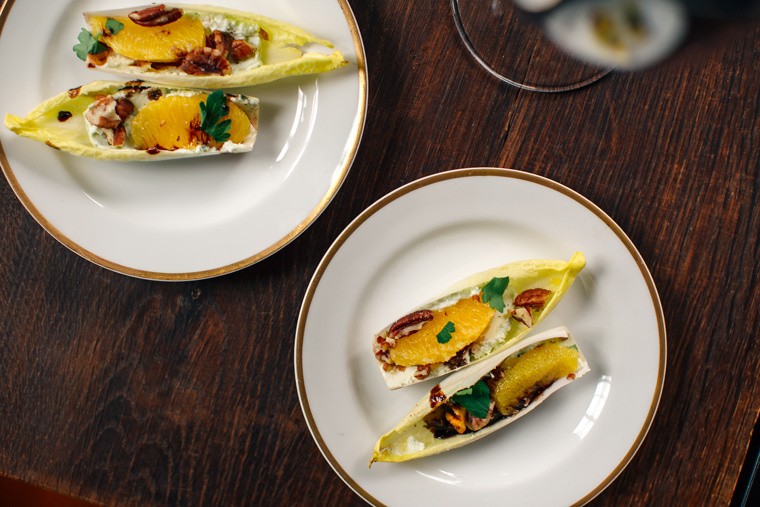 You’re the sweetest – I just want to wrap you up in an endive leaf and give you a big hug! 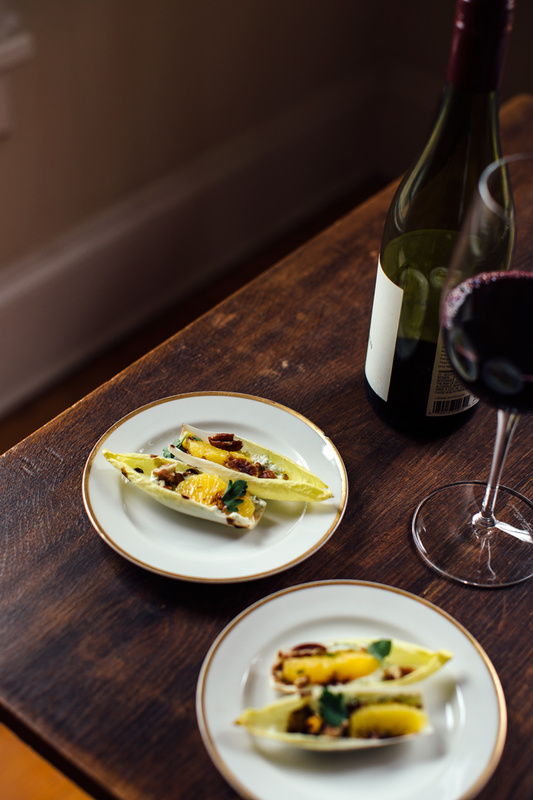 Ooh Grace, I really love your take on stuffed endives. I make something similar with orange, capers, and sun-dried tomatoes, but I love your orange balsamic reduction dressing. This really is the perfect appetizer. Thank you Katie! Your version sounds lovely too! Must try! Thanks Christine! I can say it’s better than having ice cream for dinner – which I’ve totally done more times than I should admit! This is absolutely gorgeous. Resisting the urge to eat all the components as I’m assembling would be a problem. 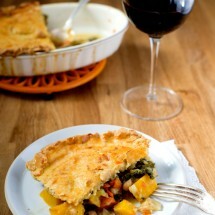 But if I can get past that hurdle I would be very down to serve this at my next gathering. Thanks for the inspiration! Thank you Emily! 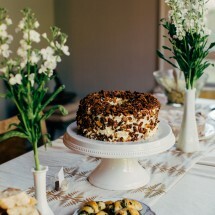 Resisting the urge to nibble is hard – especially when there’s goat cheese and salty pecans involved! Hehee! Mushrooms might be good on this too! Maybe in place of the oranges?